Osh city, undoubtedly, is the most ancient city in Kyrgyzstan and in Central Asia. Its written history is more than thousand years, and archaeological findings are generally three thousand years. 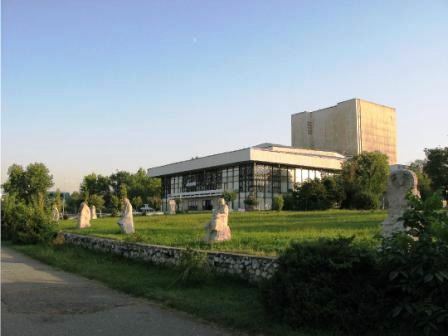 The foundation of Osh is connected to the settlement of ancient peasants of the Bronze Age. The settlement was found on the south slope of the Sulayman Mountain, which is considered holly since time immemorial, and stores the evidence of ancient cults of the Islamic period. Because of the site location, Osh is the intersection of trade routs of ancient and medieval times from India and China to Europe. One of the branches of the Great Silk Road - the major commercial roadway of the antiquities, connecting the East with the West passed here. The trade city of Osh was famous for its bazaars and caravanserais. And the main bazaar, located on the left bank of the Ak-Bura River, was a classical example of the Eastern covered market – “tima”. It is more than two thousand years. It has been existing by its noisy and colorful life, changing its building and expanding the boundaries, but remaining at the same place, which was chosen in ancient times. Osh and Osh oasis were the centers where the famous “Dayuan horses” were raised. Their depicts are also were found on the Sulayman Mountain. But then the mountain lost its pagan symbol, and became the place of the worship of Central Asian Muslims. The folk tales make the mountain strong; give the ability to heal any ailments of pilgrims. There is a museum inside the mountain; the museum consists of two parts – handmade and natural caves. 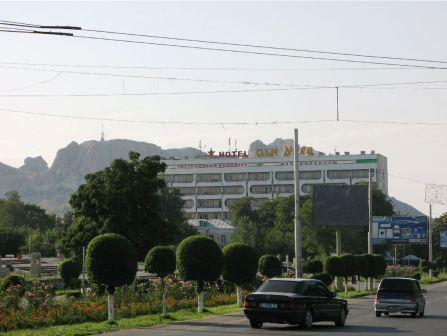 Osh - the second largest city in Kyrgyzstan, it is the "southern capital", located in the east of the Fergana Valley, at an altitude of 1000 meters above sea level. Today, the ancient town is the administrative center of Osh region. It is a major economic and cultural center with the population of about 250 thousand people. The center maintained the unique charm of the ancient East.